Loudoun Garage Door is the Broadlands' premier source for residential and commercial garage doors, garage door openers, and garage door repairs. If you’re not sure who to call, think of calling us first. We guarantee our work and stand by our success of more than 19 years. Our experience and expertise simply can't be matched. Phone Our Broadlands Garage Door Repair Now at (703) 327-3059! Keeping up with the yearly garage door maintenance can reduce the chance of costly repairs and increase the life of your garage door in Broadlands, VA. When you have a damaged spring, make sure to contact an experienced garage door Broadlands contractor. You will find many reasons to call an expert garage door contractor in Broadlands, VA. Your garage door could be off the rollers, pulley replacement or your garage door opener has stopped working, whatever the reason you will want to call a professional garage door contractor in Broadlands, VA. Aside from the annual garage door maintenance you can do a garage door tune up to keep your garage door in Broadlands, VA in good working order. Make certain to unplug the automatic door opener so it can't be activated. Be sure to tighten the nuts and bolts and lube the chain or screw with white lithium grease. It's that simple to keep your garage door maintained until your annual garage door maintenance checkup. When it comes to garage door repair you'll need a company in Broadlands, VA with an established history of success and a excellent status, like us. We strive to make sure each customer is 100% satisfied with our workmanship, customer care and prices. We know that each time we do a garage door repair job well we’ve earned a customer and a referral for life so we make an effort to go above and beyond for our Broadlands, VA customers. Whatever your garage door needs are from openers, broken springs, broken or missing panels, broken hinges, tracks and rollers to complete replacement and installation we certainly have got your back. Our garage door repair specialists are properly trained and skilled to handle any request our Broadlands, VA clients may have and we are dedicated to offering a fair price on each and every job we finish. With a combination of good work, awesome service and great prices we have been able to maintain among the best reputations in Broadlands, VA for garage door repair. More than just having a excellent reputation we're intent to keep it this way. You’ll discover our efficiency in garage door repair speaks for itself. We'd like all of Broadlands, VA and the bordering communities to know and think about us first when they need a garage door repair. Routinely servicing and tuning up your garage door goes a long way to help prevent costly emergency repairs and keep your door running efficiently all throughout the year. Most people don’t realize how large an impact that every day wear and tear and shifting weather has on their garage door. Broadlands, VA weather changes can put stress on certain parts of your garage door making them break, which could lead to additional damages to the garage door. The simplest way to avoid that from happening is with frequently scheduled routine maintenance and service. We're one of the only garage door companies in Broadlands, VA that provides these low cost programs for both residential and commercial customers. With our garage door tune up and routine servicing you can be sure that your garage door stays in tip top shape for the season again and is always safe to operate. We take the time to replace or repair any garage door parts needed before they create major damage to your Broadlands, VA home or office later on. We are always happy to help a client with emergency garage door repair needs in Broadlands, VA but if we can help you avoid those repairs altogether we’d prefer to do that. This is why our company has built such an outstanding status in the Broadlands, VA community because of our dedication to truly helping people and supplying quality, reliable garage door services. Our Garage Door Repair is honored to supply high quality garage door repair solutions at inexpensive prices. For over a decade we have serviced the Broadlands, VA and surrounding towns providing garage door repair sales, installation and repairs. Our skilled Broadlands garage door repair techs have the skilles and know-how to manage any type of garage door repair or installation job in the Broadlands area. You can count on us for top quality products, and a guarantee of satisfaction on your purchase throughout Broadlands. 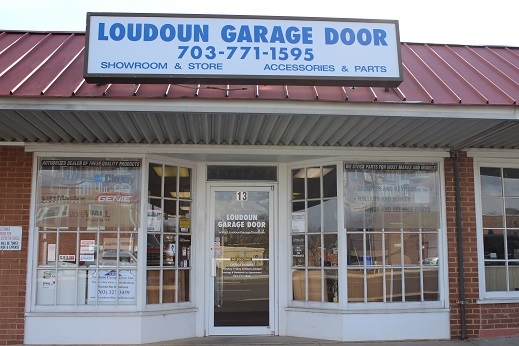 Loudoun Garage Doors in Broadlands is your local garage door repair assistance. Our services involve but are not restricted to garage door repair service, garage door opener repair or replacement, commercial And industrial door restoration and or replacement, new door installation for residential and commercial clients. Loudoun Garage Door Broadlands has same day service available, give us a call today! Call Loudoun Garage Doors Broadlands we offer same day service if your garage door is broken and you need repairs fast. We know how frustrating it can be when your garage door breaks, give us a call, we are here to help you! We can replace broken extension and torsion rollers, springs, cables, hinges and tracks. If your garage door is an older model, we can replace it with a newer model. We can do that too if you need sections of your garage door replaced! We can install keyless entry systems, control products and wireless access to your property. Loudoun Garage Doors can handle all your garage door needs. We are experienced and guarantee you will be satisfied with your new garage door or the garage door service we provide. We have been servicing the Broadlands and surrounding areas for over a decade. If your commercial or industrial overhead door is in need of preventive maintenance, tune ups or section replacements, give us a call today! If you need to have your commercial or industrial door replace, give us a call today and let us help you decide which door best suits your needs. We are licensed, bonded and insured. Our rates are competitive and affordable. We are locally operated and owned, give us a call today! We look forward to speaking with you! Having wonderful Broadlands service along with a wide range of garage door styles available in Broadlands is only the beginning. Our Broadlands garage door repair experts here at Loudoun Garage Door can help you find you any design that makes your garage complement your home's style and architecture. Additionally, we are able to match a garage door that meets your budget requirements regardless of desired style. If you are researching overhead garage door with no extras, or something including such as designer windows and insulation, we'll make sure you get the garage door you need at the best possible price for your home in Broadlands, Loudoun. We supply many types that offer distinct selection in features, durability, and performance. Every model includes a number of important security and safety options for our Broadlands customers. For most homeowners in Broadlands, the type of garage door opener needed depends upon a number of factors. These include weather conditions, weight of door being operated, along with control options desired. We carry everything from not complicated opening units, to the award-winning LiftMaster garage door opener. For garage door repair sales and service throughout the Broadlands and surrounding regions of Broadlands, Loudoun, phone us at today at (703)327-3059 to discuss your garage door installation or service needs. Additionally, stop by our showroom located in Leesburg to learn more about our garage door repair products and garage door repair Broadlands services. Get swift Garage Door Repair today within Broadlands, Loudoun. We are licensed, bonded, and insured throughout Broadlands, Loudoun for your protection. Contact Loudoun Garage Door today at 1-703-327-3059 to discuss your garage door repair needs. We are Broadlands's residential garage door installation specialists and we offer our services at an affordable price. We offer our garage door installation customers a full-range of overhead garage door styles for your home in Broadlands at competitive prices. Each garage door installation can be customized from a variety of assorted styles and options available When it comes to garage door repairs in Broadlands, All Garage Door has every type of door in stock.. There are various colors, types of wood, specifications in craftsmanship and more that we have to offer upon requesting garage door installation. We are also adept at providing commercial garage door repairs at a uniquely affordable price. We want you to beautify your home in Broadlands with our garage door installation services and create the ideal garage door solution for your needs. The garage door installation process is made easy through using our services in Broadlands with our employees that will help you from start to finish. You may wonder how to go about replacing your garage door but we take care of every notion during the garage door installation procedure. If you're in need of repairing or installing a commercial garage door, you have come to the right place. Our Broadlands garage door mechanics are here to assist you when you need the job done right. Broadlands residents choose Loudoun Garage Doors for all of their garage door installation services because we not only offer competitive prices, but our customer service is unmatched. When it comes to garage door repairs in Broadlands, All Garage Door has every type of door in stock. Most of all, our garage door installations offer sales and service on all makes and models of garages. Our garage door installation options is what allows us to help our customers get the exact type of door size, color, and finish that will meet the personal desire of the homeowner. We guarantee superior garage door installation and repairs from our well trained, licensed and insured specialist technicians in Broadlands. Although there are many how-to books and even television shows geared towards garage door installation, it is imperative that you don't end up with a do-it-yourself home improvement project. If your garage door installation in Broadlands is improperly installed, it can become an even more expensive and frustrating issue when requiring additional repair. This is why we recommend hiring our trained professional garage installation technicians in Broadlands who comprehend how to use their knowledge and tools as a benefactor towards your garage door installation. We leave no mess behind after conducting a full garage door installation (removing old parts and adding the new). Our aspirations are to successfully meet the standards of all our customers in Broadlands and impress them as well with our quickness and efficiency during garage door installations. We have overseen the installation, replacement, and repair of a bevy of different garage door brands and types. Your garage door will be picture perfect and seem as though your entire garage had a makeover after we are done with a garage door installation in Broadlands.